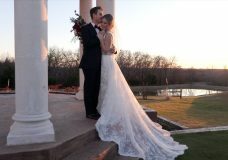 Where do I start with Bethany and Tyler’s wedding? I think my favorite part of the whole day was Tyler’s amazing dance moves at the reception. You’ll have to watch the video to see what I’m talking about. Okay, let’s back up a little… Bethany and Tyler held their ceremony at Robert Carr Chapel at TCU. This ceremony was gorgeous and tasteful. After the ceremony, everyone traveled to the Ashton Depot for the reception. Downtown Fever Band kept the partying going all night! Tyler even acquired himself some back-up dancers at one point in the night. 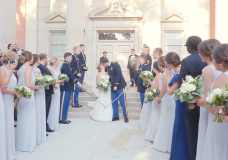 We hope you enjoy watching this wedding video. Bethany and Tyler’s love is just radiant and sure to make you smile. Congrats to the happy couple!